Character development is not specific to a real person, but based on women of the time and place. Alexandra, called “Alexandra” where she lives in Philadelphia with her aunt, is known as “Alex” when she visits her cousin in the West. While she doesn’t give up any of her class, status, or attitude when she comes, she does relax a bit to allow the teasing, & gives back as well as she receives. She comes to the west every other summer when her aunt “does the Continent”, leaving her temporarily unchaperoned. Alex rides the train & then the finest coach along with a kind of bodyguard, an older man her aunt trusts to her care. Alex does not defy that trust, but enjoys quiet visits on the porch of her cousin’s little house, holding her newborn nephew, & talking to people she has come to love as her own when she attends services on Sunday at church. Alex has been brought up in style & keeps up with the very most current trends. She saves from her own allowance to buy the Paris fashion magazines in the city, and gives them to her dressmaker to copy. Sometimes due to time or money constraints, or if a dress is in particularly good condition, she’ll have her dress re-draped or re-worked to update to style, but most often she buys new. 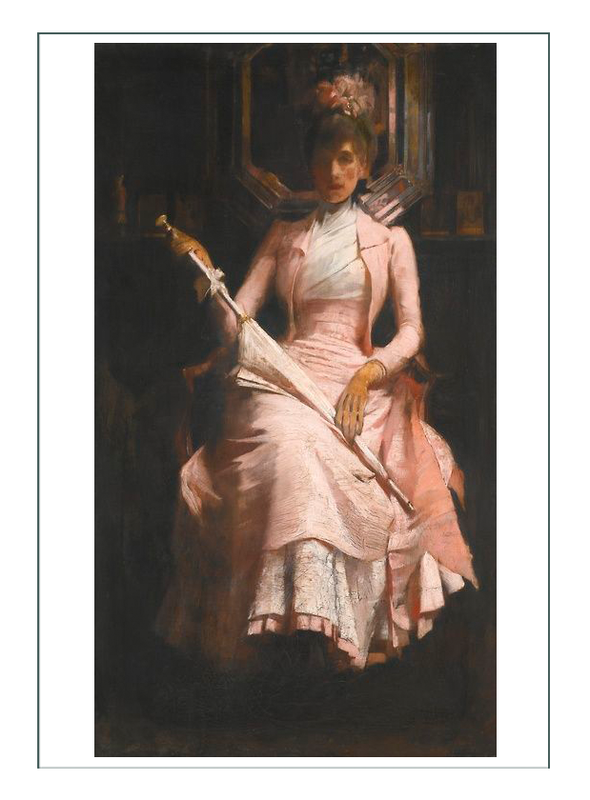 When she comes west, she stays fashionable; in fact, her visit is anticipated by the locals (who don’t get fashion magazines) because from her they get the latest gossip about the royals who have just visited, successful women in business, or that crazy Carrie Nation with her hatchet. Alex’s western wear includes comfortable clothes that can adapt to travel or the more casual life. With limited space to pack for her 2 months in the west, she interchanges parts of her ensemble; e.g. wearing the same skirt with different bodices. 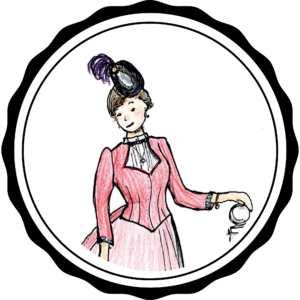 Since she wouldn’t think of doing anything more active than helping with the dishes, she stays cool and calm in the worst of heat because her fabrics are of the finest quality & construction to endure high fashion or the high prairie. Just the little pad at the top is necessary for this time period, unless depiction is desired to stretch earlier or later. 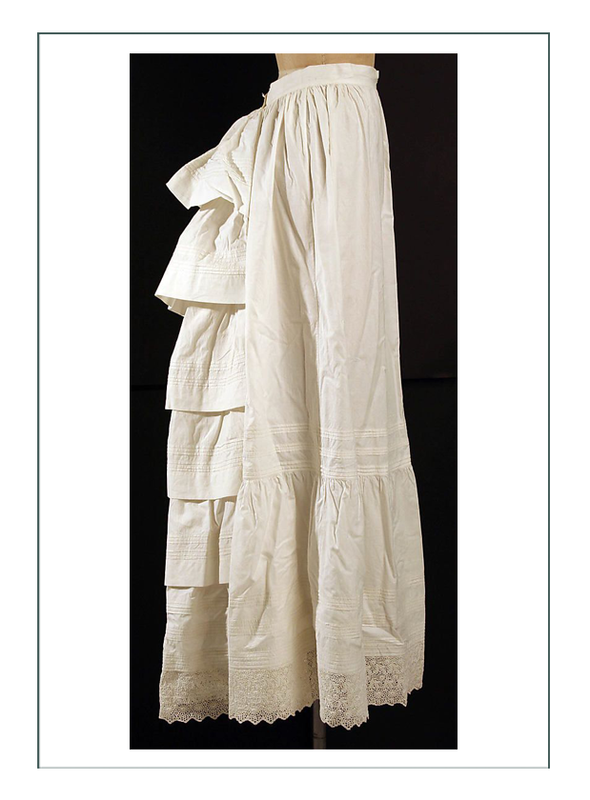 This small bustle was used to keep the narrower skirts away from the back of the knees & ankles so a woman could walk comfortably, more than to create a shape since the shape at this time was made through draping & bows, etc. Women of the American Old West had to be resourceful to cope with the elements that surrounded them: the harsh conditions, lawlessness, & living in an age where there were few amenities. Some women took to the gun as readily as any man, while others made lives for themselves apart from dignified society. 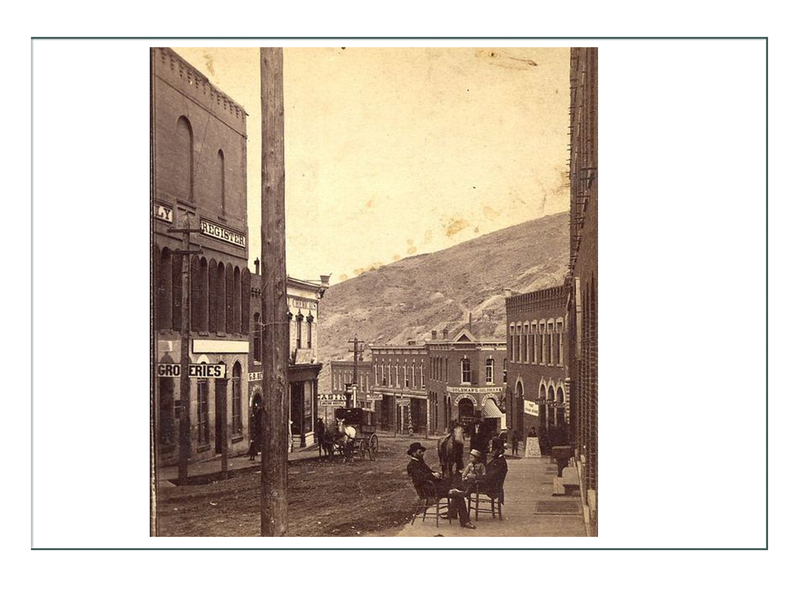 But for women who made the trek west with their families, their lot was in raising children, running a household (that included food processing, candle & soap making, spinning, weaving, knitting, etc. ), establishing schools & churches, & occasionally, warding off Indian attacks. Some were deeply involved in human & voting rights (the suffragette movement). 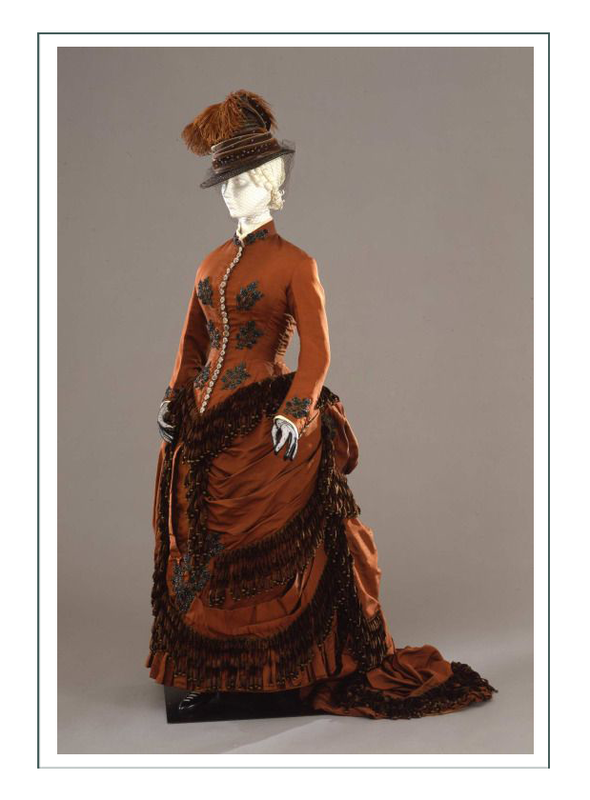 Design & depiction of fashion of Western America fashion must put all those odds & ends together, along with what is known about influences, environment, availability, attitudes, culture, values, & assumptions about the person or people being studied & depicted. There are whole professions, notably Anthropology, which study these factors. Yet other professionals such as Museum Curators spend whole lifetimes gathering & studying the clues of fashion. For our purposes for depiction, we must trust the research of those professionals, & draw the best conclusions we can based on which facts are known, but add Grandma’s stories to breathe life into our depictions. 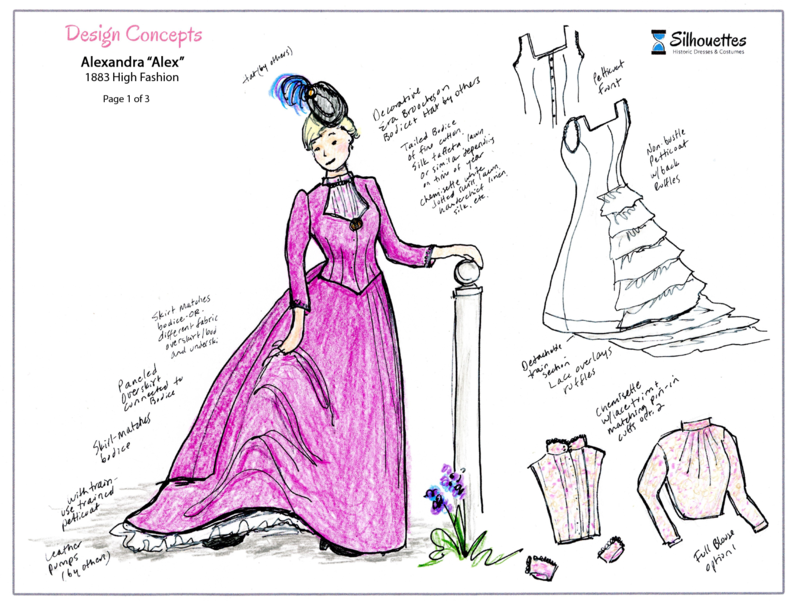 Our projects will assume fashion for depiction is based on one of the factors below. Designs based on this assumption will end up being modifications of whatever was in style in the east a couple of years prior to the depiction. 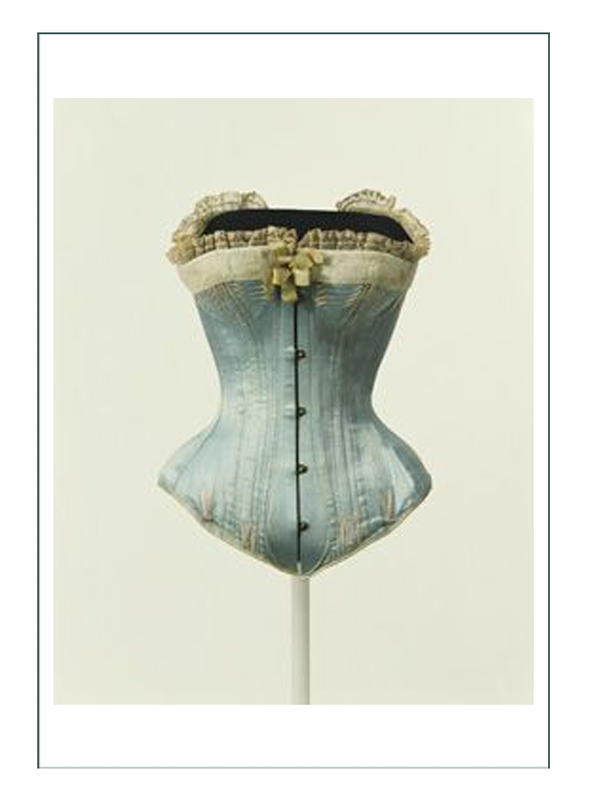 The American Cowgirl in particular demands research into male clothing & its adaptation for women. We will refer customers to appropriate professionals who can help them with this. 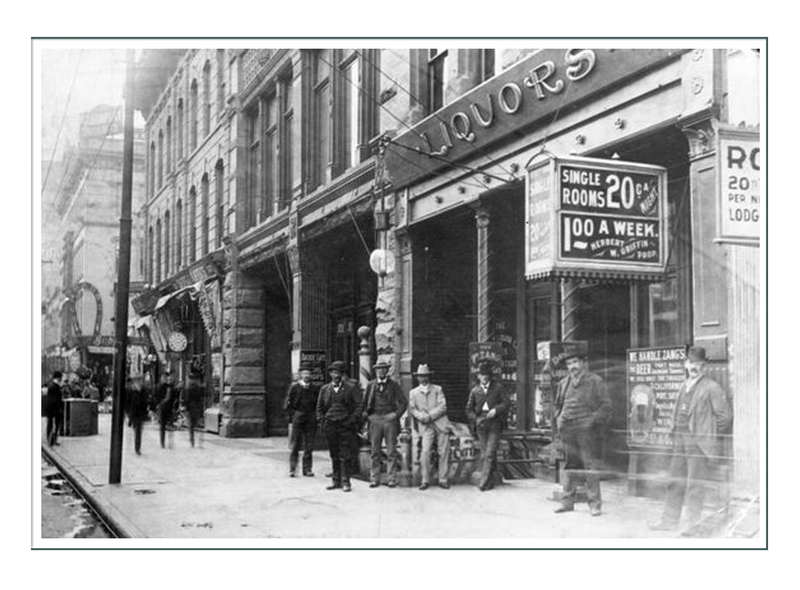 Depiction of the Sundance Kid era with Etta Place (and Anne Bassett and similar of the “outlaw era”) would be 1899. 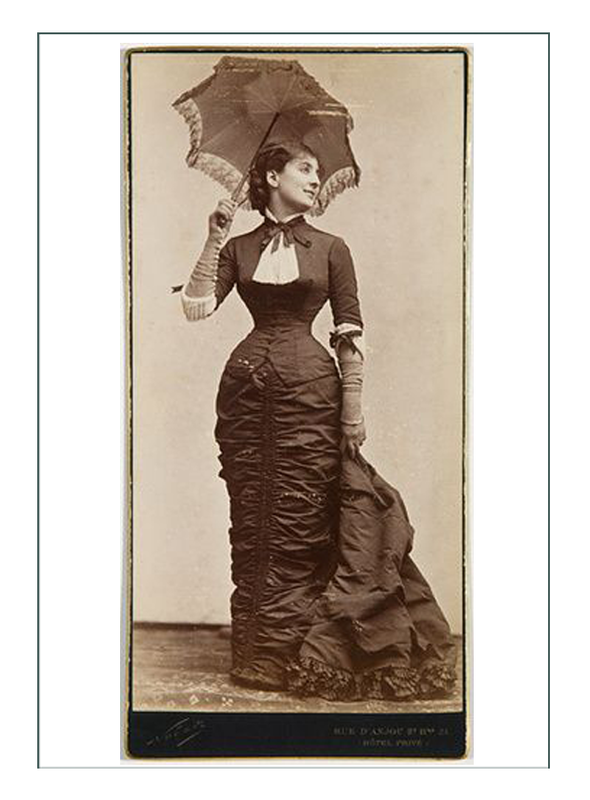 While 1899 was definitely a non-bustle era too, the fashion was very different, especially corsetry (1899 uses the long, controlling corset that pushes the woman’s bust forward into a monobosom, while 1883 is a waist cincher to the hips but not over them). 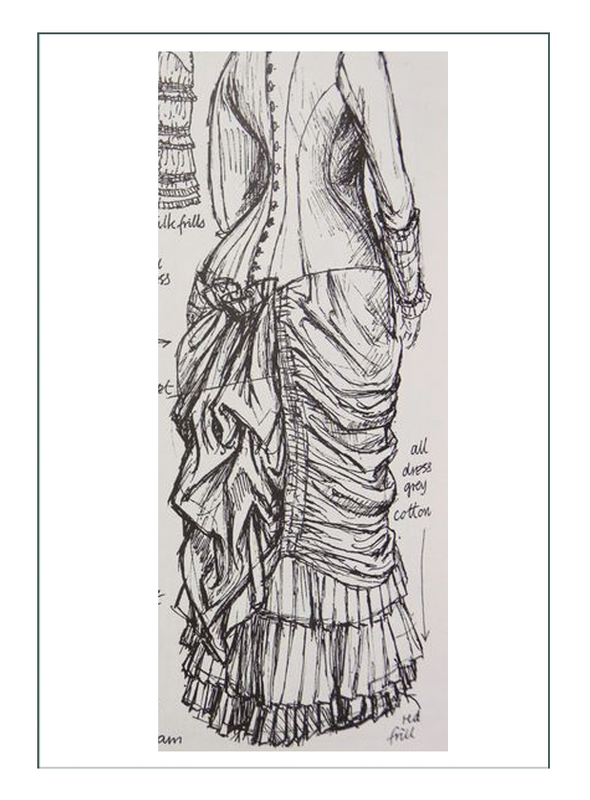 The alternate “High Fashion” proposed accommodates that: it is an 1883 fashion, but made through design, fit, and components to appear to be the later 1899 garment, the main difference being the skirt which would be an inverted “tulip” in 1899, whereas it is a straight line with a drape in 1883. 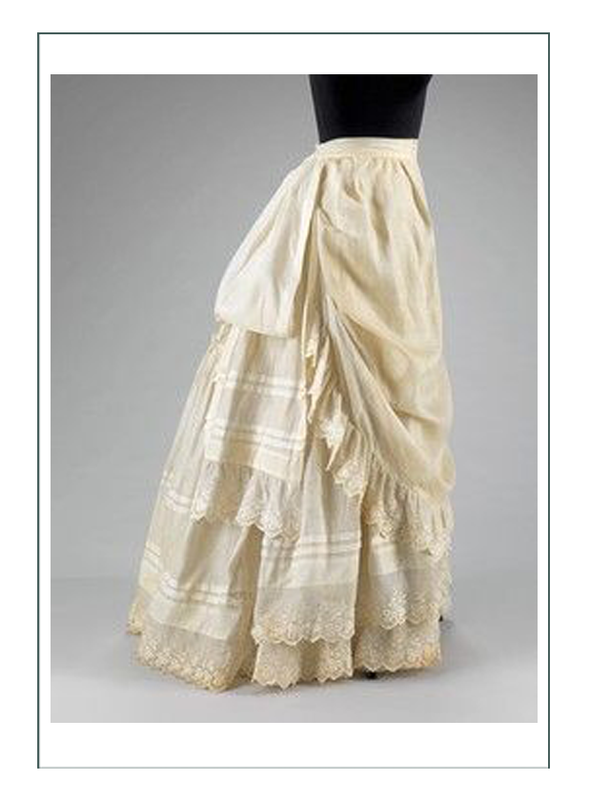 We have intentionally selected 1882-3, because the “fishtail” bustle era had just ended, and it was a short period of simple draping over the rear end with no bustle before the large “horse hind” bustle would take over late 1884. 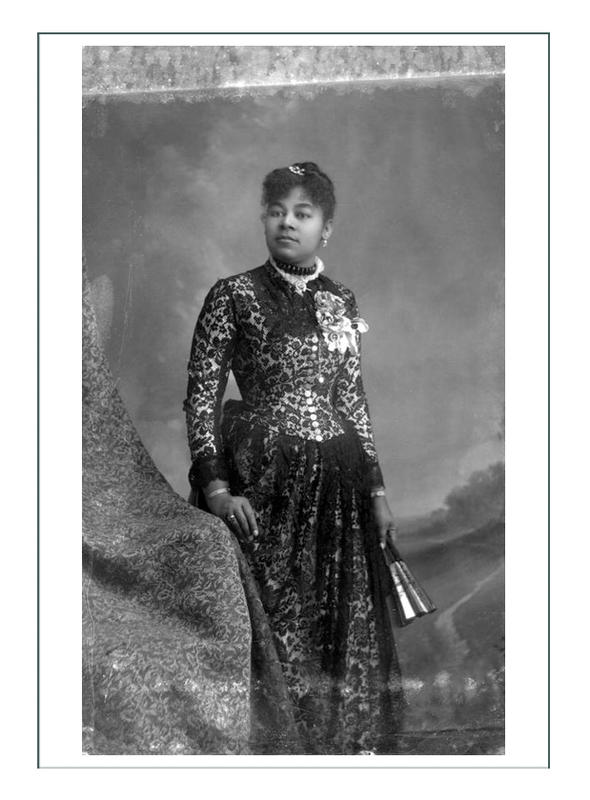 The other advantage of the era is that a very inexpensive, plain cotton 1 or 2 piece dress was worn for daily use AND for dress up. 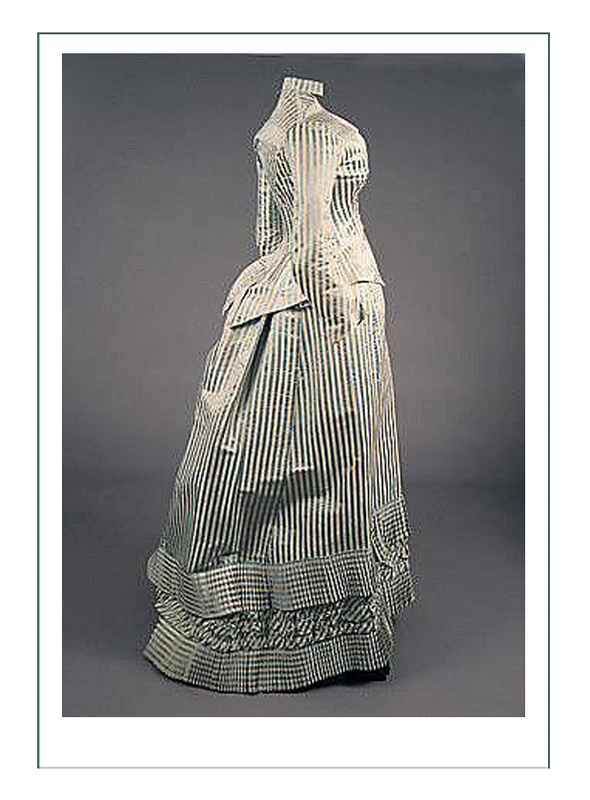 Draping methods in 1883 were numerous and anything from a simple roughed over apron to elaborate folds & bows in the back were acceptable. This means one dress could have several different drapes to serve different needs & still be completely historically correct. 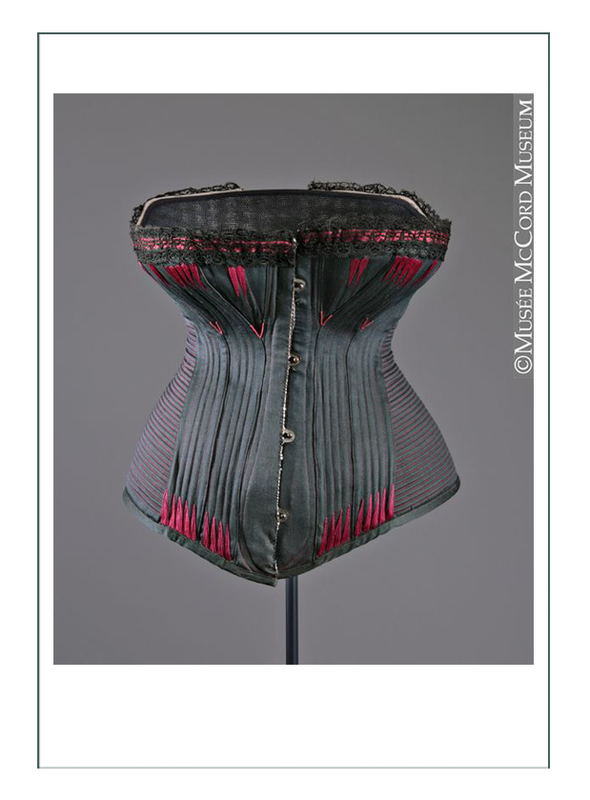 Bodices could be 2 piece with inserts or chemisettes instead of full blouses, which allows flexibility in the costuming, & ability to clean just worn inserts the same as they would have at the time, while leaving the main garment unwashed. 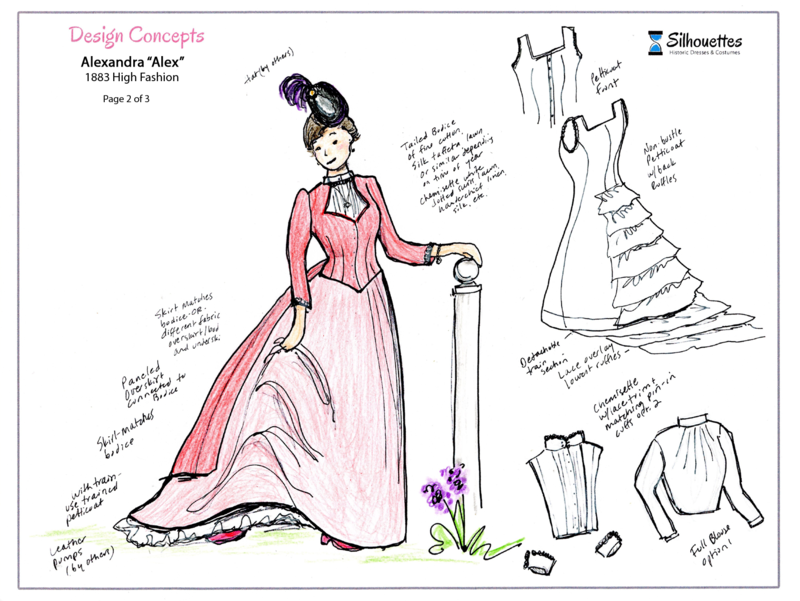 Using interchangeable aprons, skirt overdrapes, collars, cuffs, & petticoats allow the interpreter to use the same basic gown for 2-3 different interpretations, and to keep the cost down for the initial purchase, while adding pieces as desired as time goes on and more interpretation ideas are thought up. Hot summers, wind, and cold snowy winters would need two garments per woman plus 1 dress up. 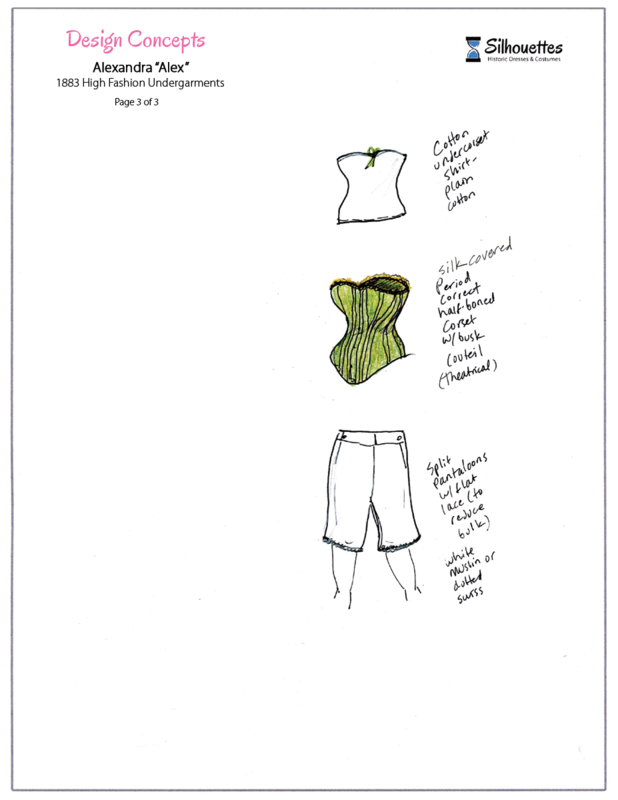 Basic garments need to be very simple and uncharacteristically plain for the era. 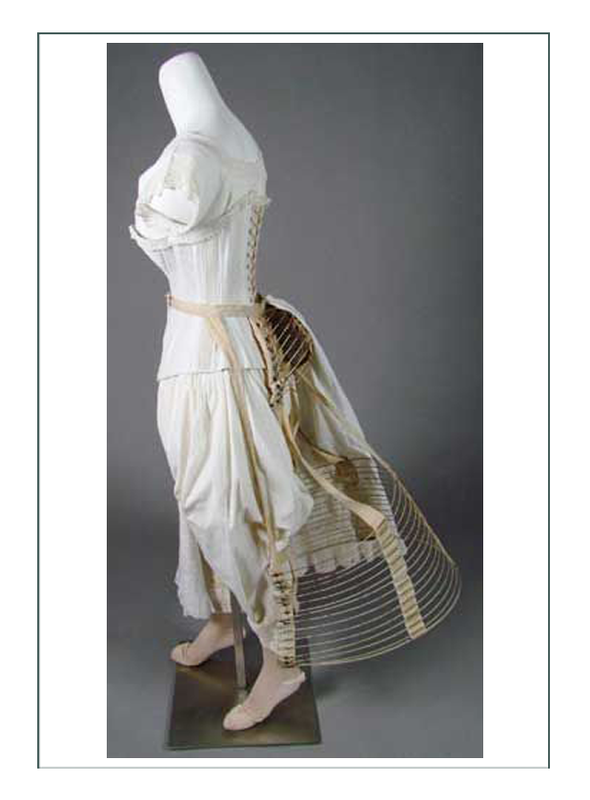 Typical at the time were extremes in use of trims, ruffles, fringe, etc. These people would have been much more efficient in use of their clothing than those to the east. 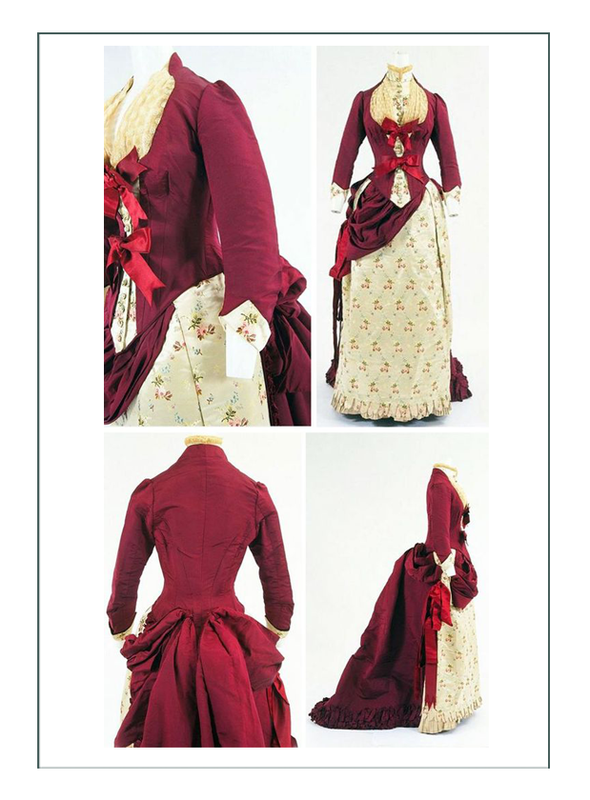 Economy would mean wearing the same bodice and changing the skirt by function (e.g. split skirt for riding, but long dress with overskirt for dress up). 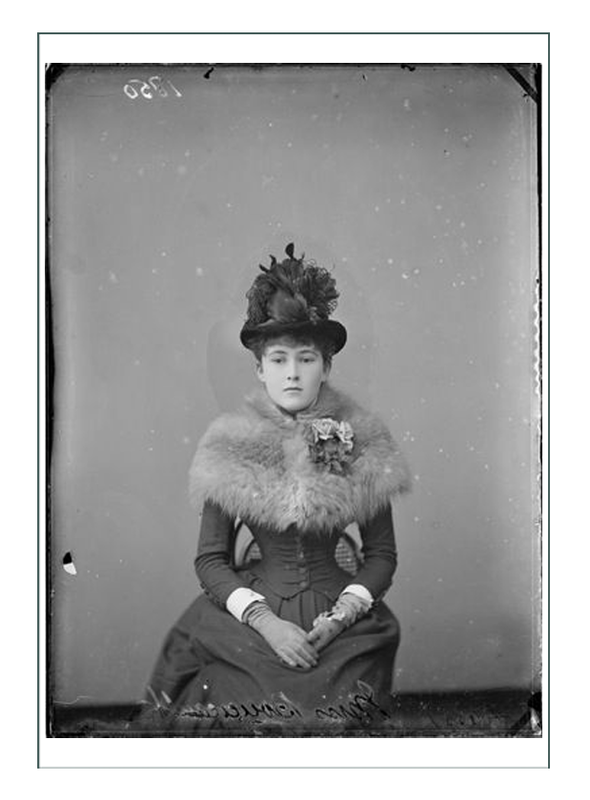 Accessories and especially sentimental jewelry hats and bonnets would be key to changing for activity and keeping up with style. 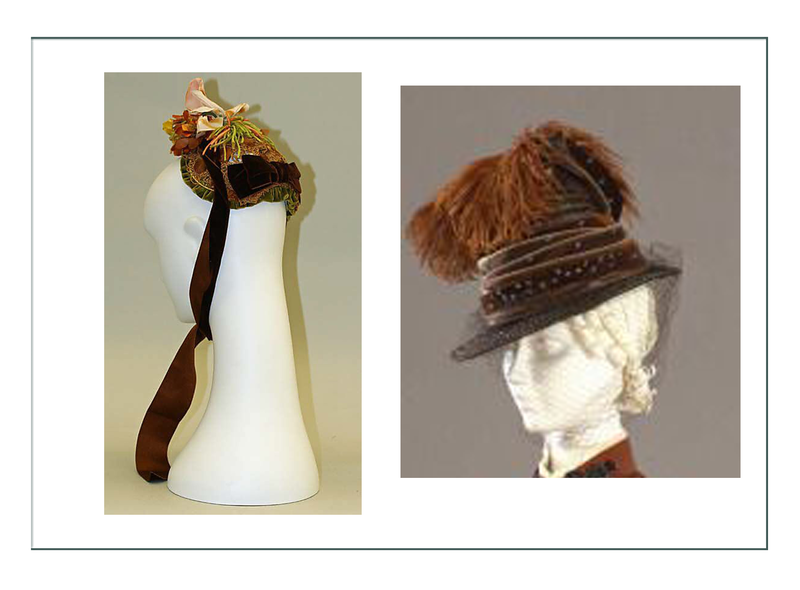 Small accessories would have been imported, but hats and bonnets most likely locally made. Footwear, though not in general fashion, would be tie up the front ankle high boots with a flat to 1″ heel, cotton stockings over the knee or held with garters to keep the corset down and the stockings up. 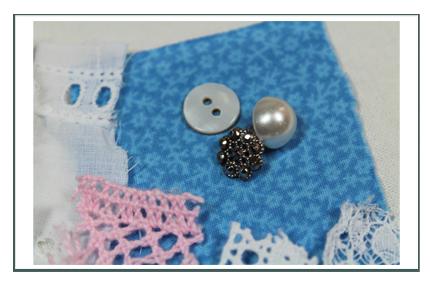 Using plain (unembroidered or detailed) fabrics of the era and simple patterns also allows us to make the garment fast to meet tight deadlines. Use of cottons also allows under or over dress for the weather. Please note it is our goal in this business to give the wearer the most authentic experience as possible. 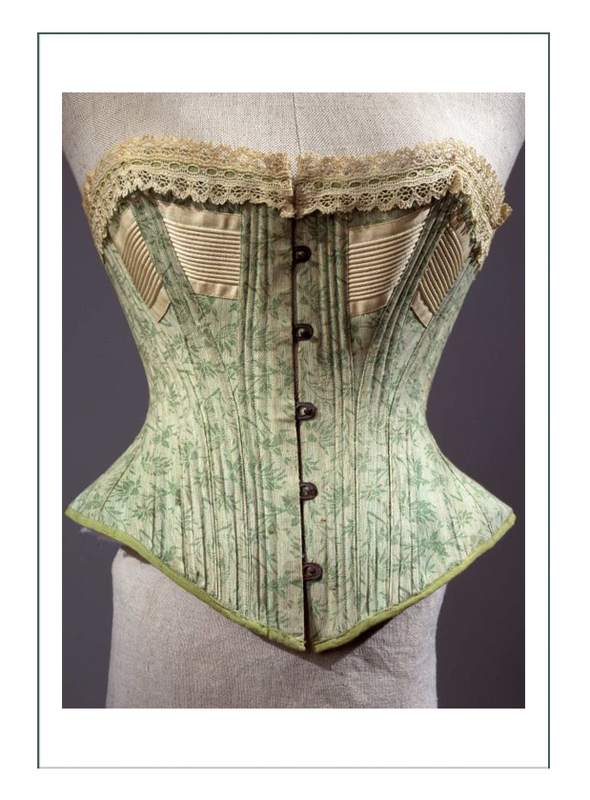 This means everything from undergarments up need to be of the same material, design, cut, and method of wearing that would have been in 1883. 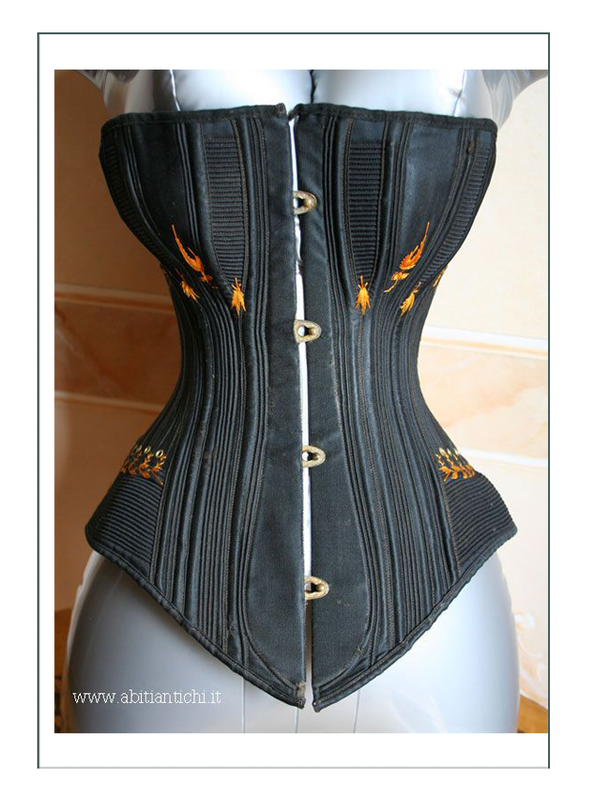 For that reason, we recommend taking the time and cost to do the authentic corset, although we are quoting a theatrical corset to save time and money. 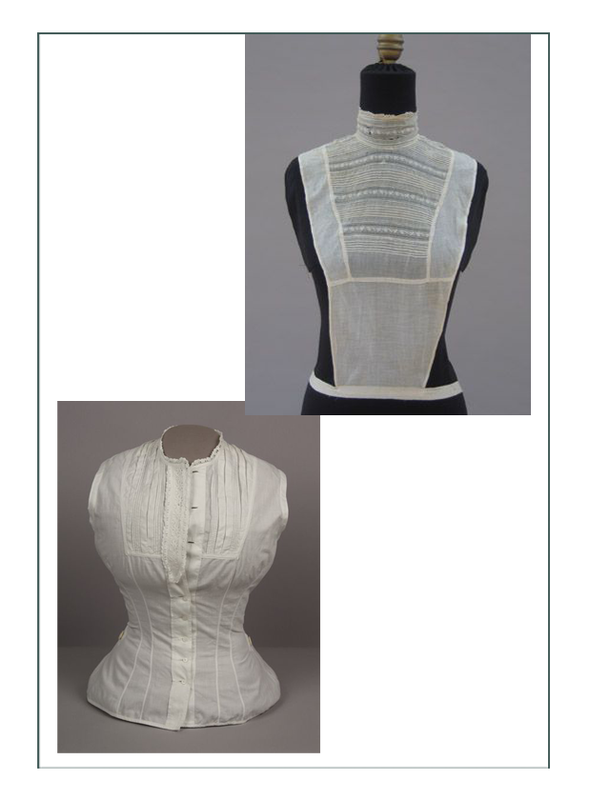 While our corsets are designed for the modern body, and do not attempt to shape the body as they would have at the time, the authentic corsets are made of natural fabrics which breath and react to conditions and weather. Theatrical means “non-authentic” materials & construction. If theatrical is selected, it will be made of polyester/cotton with metal powder coated and/or plastic boning. 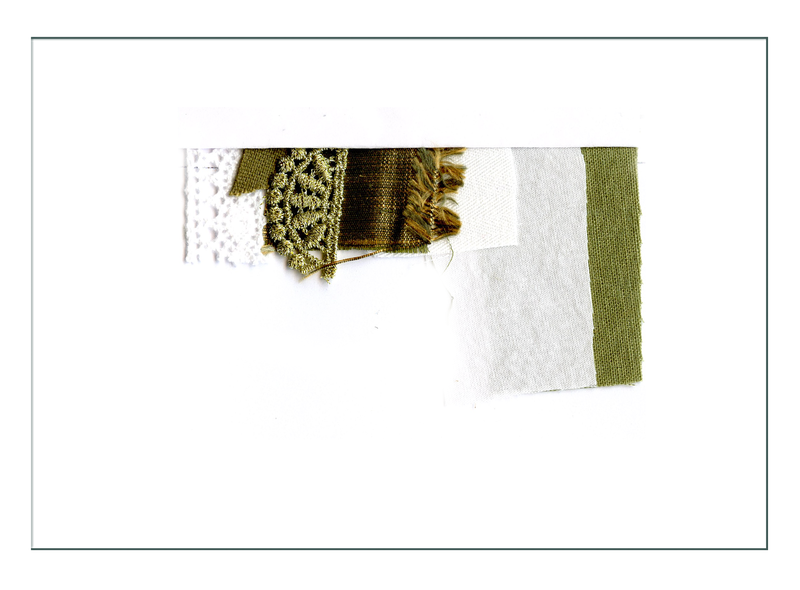 Because these will not give authentic feeling, we recommend selecting all historic garments. 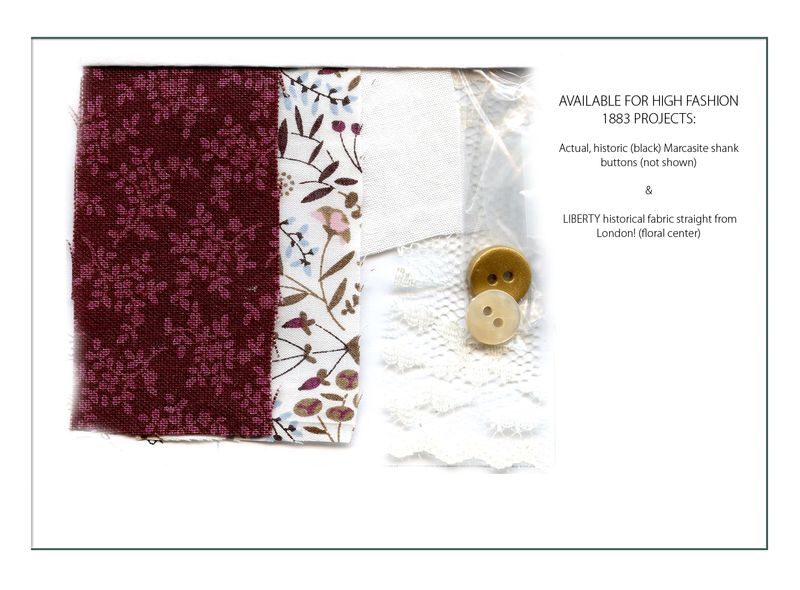 Some pre-made ruffles and ribbons may be of synthetic materials due to the prohibitive cost of silk and embroidery and the time required for hand detailing, although the latter is available on request. 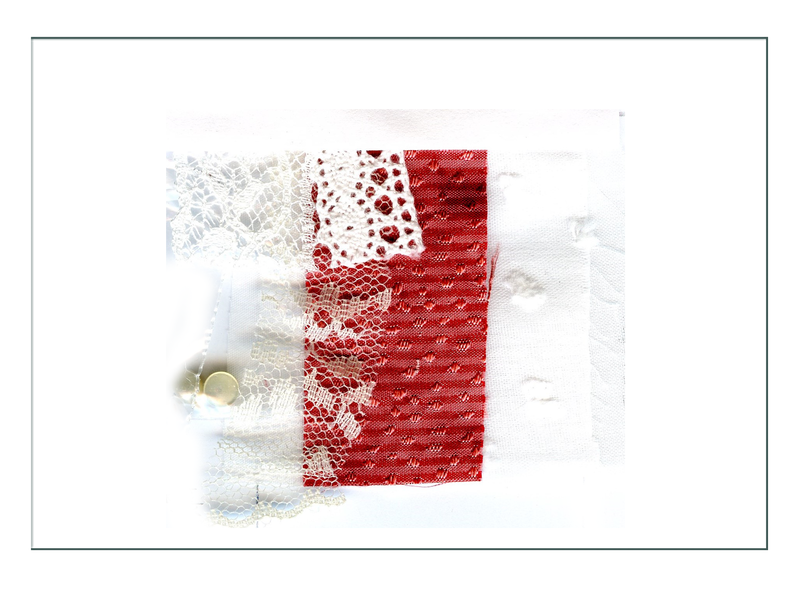 100% cotton or silk thread will be used for all hand stitching. 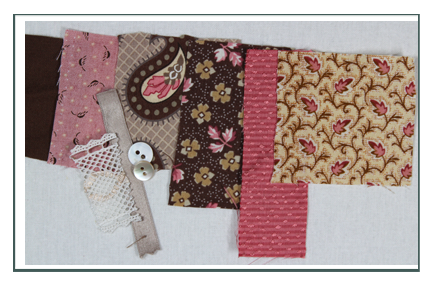 This era was machine sewn including mass produced trims and details. 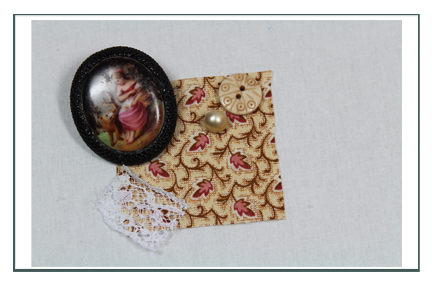 Machine sewing and embroidery will use polyester thread for durability. It’s interesting to note that by date hats and garments trend towards color ranges. 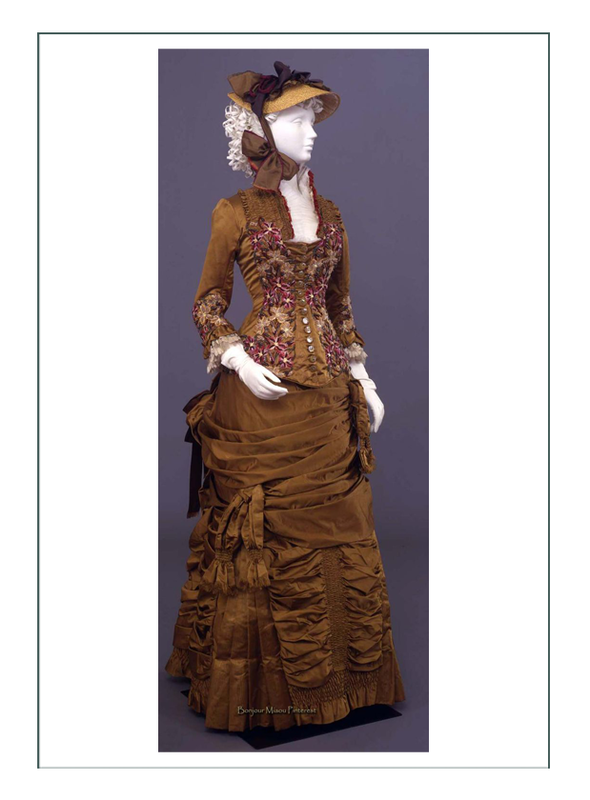 1883 fabrics, notions, & decorations tended to be in the brown/gold/blue range, with riding habits deep forest greens. 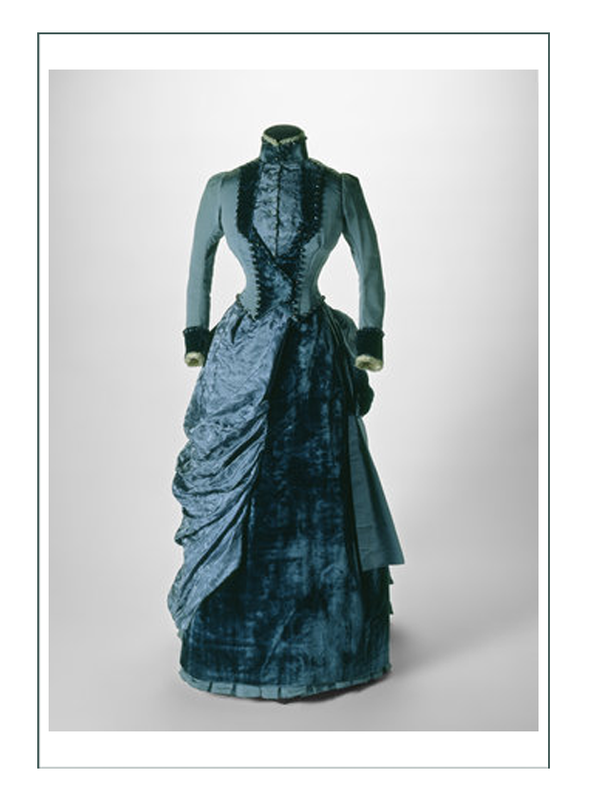 This coming out of lighter natural colors of tan, gray, green, blue, pink, and after a dismal time of mourning in black (dark blue, purple) at the end of the Victorian era, would head into very light colors of pastels & whites by 1899 in the Edwardian era. How Can We Help You? ?